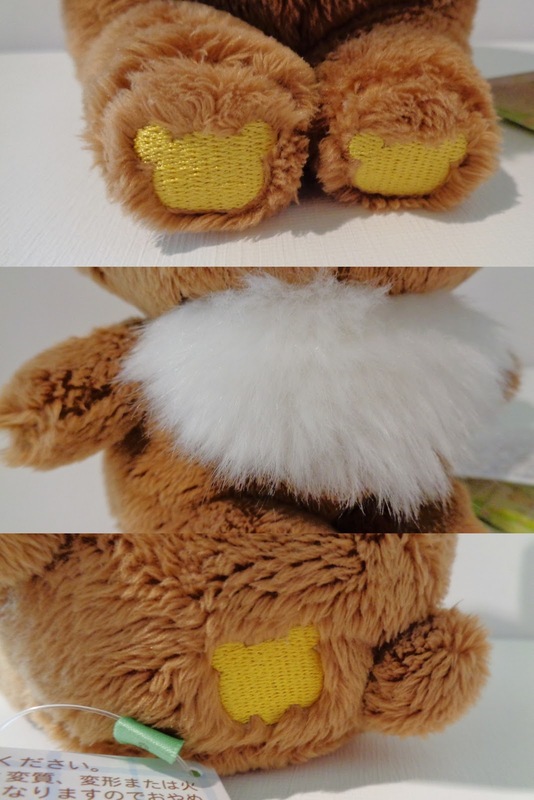 Rilakkuma and Korilakkuma have made a new friend, introducing Koguma-chan the honey bear. While playing in the honey forest Korilakkuma comes across Koguma-chan and they quickly become friends. I decided to pick up the small sized Koguma-chan and as cute and well made as he is I am not sure what to make of him. 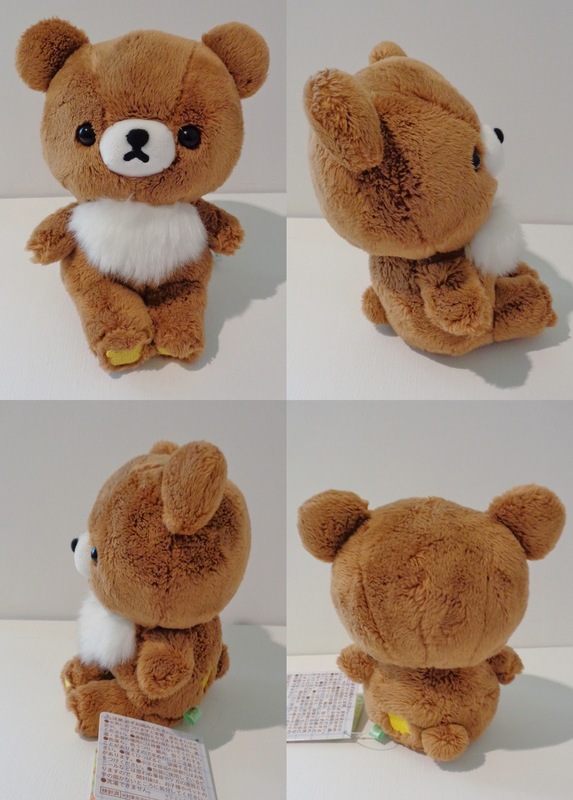 First of all his nose is raised and is more like a traditional teddy bear's and his eyes are similar which is an odd choice as every Rilakkuma plush I have seen has a stitched nose and eyes. His ears are also in a different style, they are not in the what I call pom-pom style being flatish rather than spherical. These small changes are perplexing as it makes him stand out from the other characters and not in a good way in my opinion - he doesn't look as if he belongs beside my Rilakkuma and Korilakkuma. However I will not turn my back on him because if you put aside the fact that he doesn't match the other plush characters he is a very cute plush which is made to a very high standard.